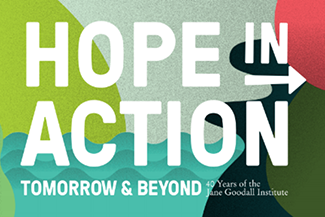 This blog was written by Florence McCambridge, a JGI Canada Volunteer and originally published here. Looking to make a big impact with one small change? We’ve got just the thing. No Waste November is a global Roots & Shoots initiative where people around the world make a commitment to reduce the amount of waste they produce for an entire month. It’s the brainchild a team of Roots & Shoots youth leaders from Canada, the United Arab Emirates, Taiwan, England, and New Zealand who spent a week with Dr. Jane Goodall at Windsor Castle in England alongside other Roots & Shoots leaders from many different countries. They presented their idea at the end of the six-day gathering, and they hope No Waste November will become a global movement to inspire youth to pledge to reduce or eliminate waste in their lives. While people in different parts of the world may vary in their definition of “waste”, everyone can still participate in cutting back. Why one month? Studies show it takes about a month for something to become a habit. So by taking the pledge for the month of November, you’ll be well on your way to living a waste-free life! Need some inspiration for your No Waste November pledge? How about saying no thanks to plastic straws when you order a drink, or carrying your groceries home in reusable bags. You can also eliminate plastic bags and cutlery from your lunch, and sip your coffee or water out of reusable mugs and tumblers. By writing down your goals, you increase the odds of achieving them, so download a No Waste November pledge card and write what you’re planning on reducing or eliminating this month. 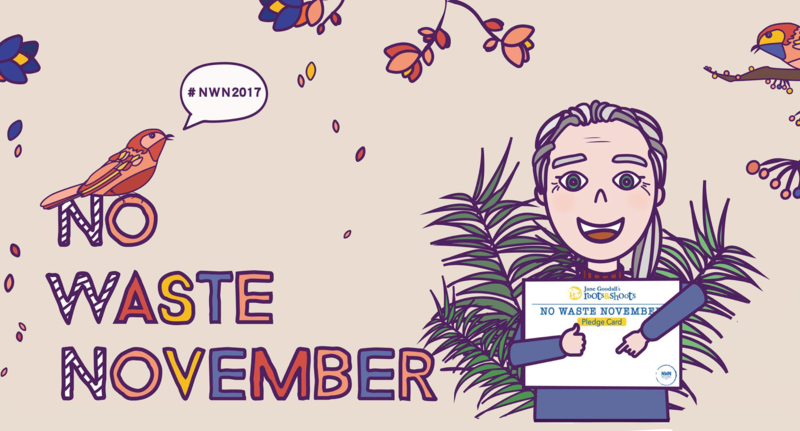 Take a picture of you and your pledge card and share it on social media with the hashtags #NWN2017 and #NoWasteNovember. Keep up the good work for the rest of the month…and beyond! And make sure to follow along with the movement online: Twitter, Facebook, Instagram!